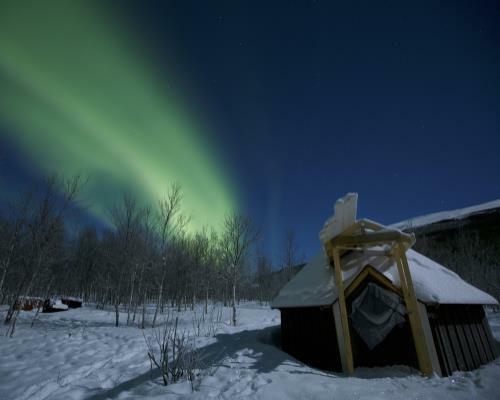 A 4 night Northern Lights package in Tromso including dog sledding and Northern Lights dinner cruise as well as a Northern Lights Chase. Day 1: Fly Dublin to Tromso (via Oslo). Coach transfer from Tromso Airport to central Tromso. Overnight for 4 nights at the Quality Saga Hotel (or similar) on a B&B basis, located in central Tromso. Add a day trip Snowmobiling in the beautiful Lyngen Alps for €210 pp. 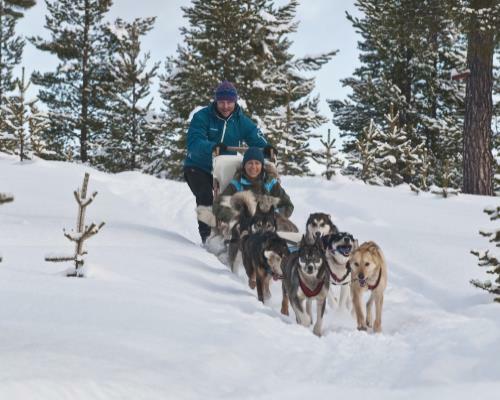 Includes return coach transfers, shared snowmobile and lunch. Available January – March only and operates subject to snow conditions. Extend your break with a stay in Oslo or Stockholm on your way home. Ask us for prices. Extend your Arctic stay (in Nov/Dec only) with 3 nights B&B on a Hurtigruten ship for an extra €425 pp sharing an inside cabin. Outside cabin supplement applies. Prices correct at time of print (Jun 2018). E&OE. Subject to availability at time of booking. As they are natural phenomena, seeing the Northern Lights is not guaranteed.